Your employee advocacy program will benefit from an established framework of best practices. Here’s how you can create social media guidelines to support your brand advocates today. Social media guidelines aren’t the same as a social media policy for work, nor do they have to be as rigid. Back when social media policies first came about, the bottom line was often simply “No social media use at work”. Naturally, this approach doesn’t invoke the sort of culture that would be conducive to a successful employee advocacy program. So why would we want to encourage you to stifle your advocates with rules from the beginning? On the contrary, our own research has shown that employees are likely to feel more empowered if their company displays an openness to sharing company content and if they are supported to do so. This is why creating social guidelines for advocates can be so beneficial to everyone involved. You can treat these differently to how you treat a social media policy that you might find in your staff handbook or employment contract. Your guidelines for advocates can act as an independent partner to such a policy if you do have one. Your social media guidelines will be specifically for advocates who share approved company content with their own social audiences. You can even encourage your advocates to help formulate them with you. This sort of honesty and inclusivity will help nurture your program’s engagement in the long run. So, what are the key criteria you need to cover? From a company’s perspective, you want to encourage your advocates to share relevant content to boost your online brand and to build them up as industry experts. With that in mind, you need to be clear about what you want to achieve from your advocacy program, how you aim to go about it and how you will reward success. Start by outlining your goals and how you plan to achieve them as an introduction to your guidelines. Explain to your advocates what your advocacy program is actually for. This will help ensure that everybody will share one focus. From an employee’s perspective, it will also help them understand the mission and the why behind your program. You’ll be able to tailor that template to add a little more personality from your own company’s culture and tone of voice. But as you can see, we have been very clear on our goals and our methods for achieving them. If you can remove any ambiguity as to the ‘what’ and the ‘why’ of your program, your employees will find it much easier to engage. Next, let’s look at how your employees will be rewarded for advocacy. We touched on it in our program mission statement and it’s a great way to kick off the next section of your guidelines. Your company’s culture will be a major factor with regards to what you include here. Some companies encourage advocacy through monetary rewards, vouchers, prizes and even time off. The important thing to keep in mind is that your advocates do deserve to be rewarded for their effort, just like any other part of your business. As James Sinegel said, “When employees are happy, they are your very best ambassadors”. 86% of employees credit their role as advocates for having a positive impact on their careers. 82% of companies are using social media to recruit management positions. The chances are that if your company has already bought into the benefits of advocacy, your employees can use their own activity as a benchmark of their success. This can make a compelling case when applying for a promotion or negotiating a pay-rise. If your company already has its own brand guidelines, style guidelines and tone of voice documents then this next step will be made easier. Don’t worry if not, the next thing you want to include is a dilution of all of those items. Your guidelines should explain how you expect employees to fulfil their roles as advocates. As you may have already guessed, this isn’t by telling employees what they can and can’t do online. If you train them on what you expect from the beginning, then you shouldn’t need to. You may actually want to draft several versions of this section if your advocacy program bridges multiple departments like HR, marketing, sales and production. 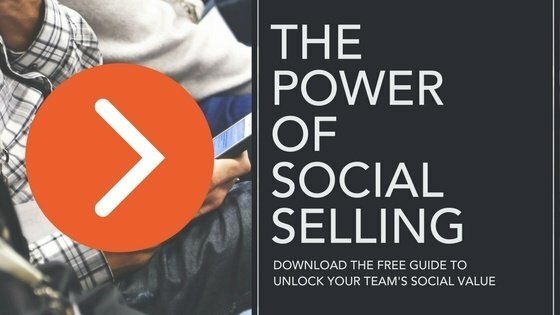 Social sellers (salespeople) are likely to find more success with different tactics for engaging on LinkedIn than your marketers for example. As a broad overview, you should use this section to go through things like tone of voice, hashtags, style, roles within the program and training to use any technology. If you’ve adopted a specific platform for employee advocacy, your service provider should be able to help you with on boarding your advocates. Where will they find approved content? Should they write their own comments, or will there be recommended text? Who will curate the approved content for them to share? Are there any specific channels that they should be sharing on? Will they be split into teams? Will each team have a leader? Will there be regular training? Does the technology have a mobile version for sharing on the go? Hopefully by now, you’ve got the idea that this isn’t meant to be a box to tick or a document to slip into the back of the filing cabinet. The social media guidelines for your advocates is a chance for you to really engage them from the beginning. With that in mind, throw some personality into creating the document. If you can, get a designer to turn it into an A3 poster or a two-sided sheet your advocates can look at every day. Next PostWhat is Employee Advocacy?